1. White hot. White slipcover furniture is the way to go. Summer calls for light and airy colors so it's time to ditch the dark and dreary colors of the winter. Coastal slipcover furniture in light colors will brighten and lighten any room. Try these easy Summer coastal decor ideas to make your place feel like a Summer beach house. 2. Bring the outside in. Eco-friendly materials like bamboo, hemp, and jute area rugs will add an exotic and natural feeling of the outdoors to your coastal interior. 3. Garden touch. 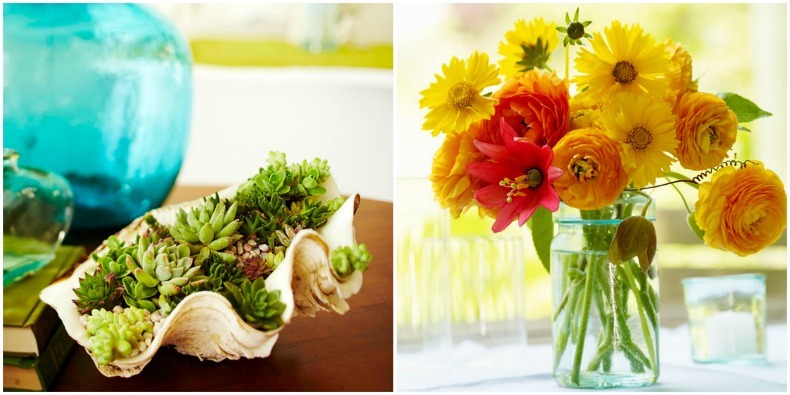 Add greenery or bright, summery colors with freshly picked flowers. This will add an organic vibe to your room and give it instant summer appeal. 4. Light it up. 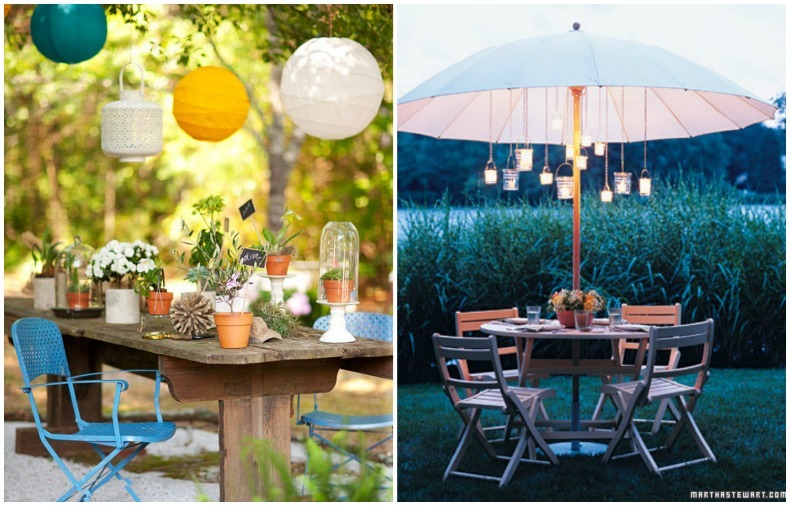 When the summer sun melts into the horizon and you want to continue enjoying the outdoors, light things up. Hanging some great coastal lighting outdoors will ensure your Summer nights are illuminated. 5. Carry indoor design outside. Making spots outside to enjoy the summer sun, poolside lounging and gathering with family is what summertime is all about. Grab some pillows or floor cushions and place them around your pool for makeshift coastal lounging.